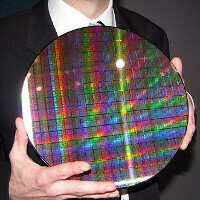 The TSMC foundry warned numerous times that it just doesn't have enough equipment to produce enough 28nm chips, with strong demand from Qualcomm and others. Qualcomm in its turn, warned at its last quarterly results press conference that the fab troubles with 28nm yield may result in less Snapdragon S4s sold due to supply constraints, an issue it hoped to resolve turning to alternative foundries. After booking up UMC, which is to start making S4s in the October-December quarter, Qualcomm was forced to turn to a direct competitor in the mobile chipset department - Samsung, which actually makes and sells its own ARM-based silicon under the Exynos brand. The latest Exynos 4412 in the Samsung Galaxy S III, for example, is made with the 32nm process, which is of the same family that the Snapdragon S4 is made with. Samsung already makes the bulk of iPhone and iPad processors in its Austin, Texas facility, and adding Qualcomm to the list of customers will undoubtedly be a recognition to its chip manufacturing prowess, while Qualcomm can finally overcome the demand outstripping supply situation. The Qualcomm-Samsung deal is kept under wraps, though, so we don't know when S4s will start being made by the Koreans and where, or how much of those can Samsung churn out. Qualcomm has to make a bunch of 28nm LTE radios for the next iPhone as well, so these might be in there too. I just read ur first sentence, the rest 're irrelevant. Samsung is the best and largest components maker in the World that other companies looking for help. I love my Galaxy S3. ''Samsung already makes the bulk of iPhone and iPad processors'' Then too Apple are suing them for completely mindless reason of patents.. Sammy should stop making processors for iSue.. The problem here is, that Apple is Samsung´s biggest customer. That means, if Samsung would stop to produce chipsets, displays etc for Apple, they would have some serious financial trouble. Sad, but true.... Besides that point, I have the same opinion on this situation as you. It could also mean more focus on their own products. It looks like the Galaxy S line is reaching that point where supply is becoming an issue and this could really boost their production figures Galaxy Tabs being a good example of those instances where they used Tegra2, Ti OMAP, etc instead of exynos. Long live the Exynos.. The King of mobile processors.. S4 krait is not far behind though.. lol at Nvidia LAGtra 3.. Lagtra..!! LOL, made me laugh Every time NVidia launches a new mobile chip they are actually far behind every other competitor in just a few months History and present both proves this..!! I want my s4 One s back! Samsung saves the day again. Maybe Samsung makes the chips enough for their US GS3 only.